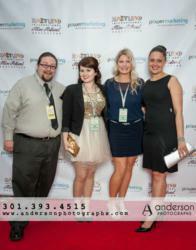 Power Marketing development director attends exclusive parties & screenings to network with filmmakers & festival directors. Power Marketing, a full-service advertising agency in MD, is augmenting their festival and film-marketing services in a big way by networking at the Cannes Film Festival in Cannes, France. Power Marketing Development Director Tracie Hovey has years of experience in the film and film festival industry, and she will represent the company at networking events at the festival May 18-24. Power Marketing, LLC is a full-service marketing firm with more than 20 years of hands-on experience in marketing strategy, Internet marketing MD solutions, SEO, marketing social media, public relations and web design. Power Marketing assists companies in maximizing their resources to improve their brand identity and sales success. For more information, please contact Communications Specialist Krista Scarlett, 301-416-7861, krista(at)power-marketing(dot)com, or visit Power Marketing’s website.